Today we bring a new brand for the first time here on NorwayGeographical.com that makes some very beautiful jackets. The brand is called Alpha Industries and in this article we have collected for you 15+ of their best jackets to wear this fall / winter 2017 – 2018. 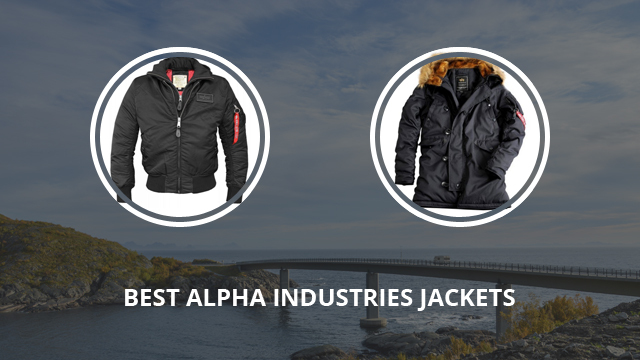 Alpha Industries is an american brand born in 1959 in Knoxville, Tennessee. At the beginning they started making jackets for the military of the United States and now they have grown in an international company creating clothes with an american military style. The brand makes clothes for men, women and children. Among their popular jackets we can find models (that you can see below) like the MA-1 flight jacket, the CWU-45 pilot jacket and the M-65 field jacket. Jacket with hood and fur collar. Two spacious flap pockets with Velcro fastener. Comfortable collar with quilted lining. Material: 100% Nylon, Lining: Polyester. 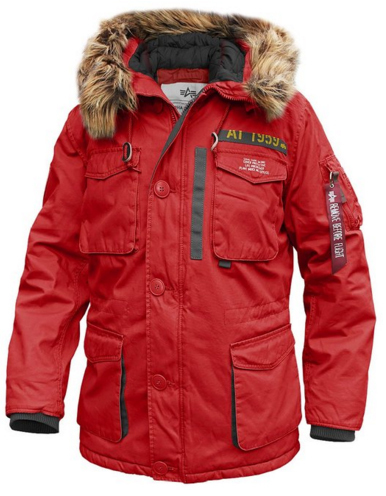 The CWU hooded jacket is a long arm jacket, with a fur lined hood. The material is 100% Nylon and the logos are minimal, with only one on the upper left chest. The collar is high and the hood is non-detachable, but the fur lining is. There are several pockets both on the outside and inside, with the two side pockets being quite oversized. There is a sleeve pocket, too, on the left sleeve. Both the hem and cuffs are ribbed and elastic, for a proper fit. The jacket is weatherproof and it comes in two colors: Black and Olive. Robust front zip with storm flap. Collar, cuffs and waistband with elastic rib. Two large pockets with snap button closure. Two inside pockets and a lockable zipper sleeve pocket on the left upper arm. Removable Alpha patch with Velcro on the chest. Wind and water-resistant, high comfort. Material: shell 100% nylon, padding 100% polyester; hood 80% cotton, 20% polyester. 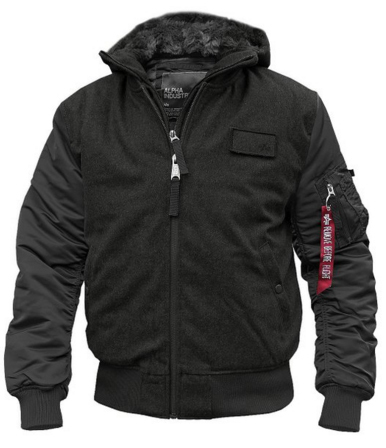 This “2 in 1” jacket is made of 100% Nylon and comes with a fleece lining underneath. What makes this one stand out is the fact that it is indeed a “2 in 1” jacket, meaning there are two jackets which can be zipped together, whenever it’s necessary. The inner jacket comes with a hood and it is made of Polyester, while the hood is a combination of 80% Cotton and 20% Polyester. This is a water repellent jacket and windproof also. The hem and cuffs are elastic and ribbed and there are two outer pockets on the sides, one on the sleeve and two pockets on the inside. The colors available are: Black, Dark green, Burgundy, Bold blue, Olive, Black / Grey and Grey. Collar, cuffs and waistband elastic rib. Two large pockets with snap closure. Sleeve pocket on the left upper arm. Material: 100% nylon, lining 100% polyester, padding 100% polyamide. 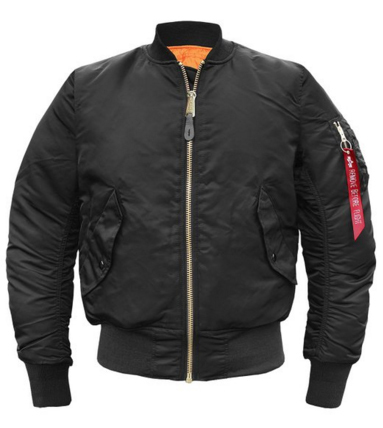 The MA-1 jacket is made of 100% Nylon for the outer shell and the inner lining is 100% Polyester. 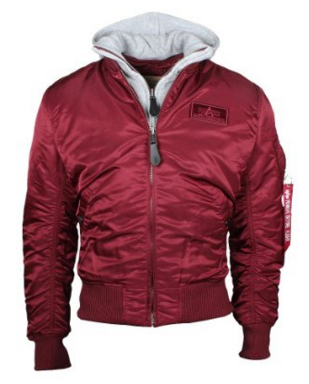 It is a warm jacket and weather resistant, with two large slip pockets on the sides and one on the left sleeve. It comes without a hood and with a medium collar. The cuffs and hem are elastic, and a bit longer than typical, for a proper and comfortable fit. The jacket comes with a wind flap on the inside, adding to the insulation, making it a suitable jacket for really cold weather. The color selection includes: Burgundy, White, Black, Olive, Blue, Grey and Gold. High-closing front zip with overlying placket. Two spacious pockets with flaps. Two chest pockets with snap fasteners. Pen holder on the left upper arm. Hood with fur lining and detachable fur trim. Material: upper 53% nylon, 47% polyester; lining 100% nylon; padding 100% polyester. Explorer N3B is a winter parka, suitable for freezing temperatures, guaranteed to provide warmth and protection against the elements. 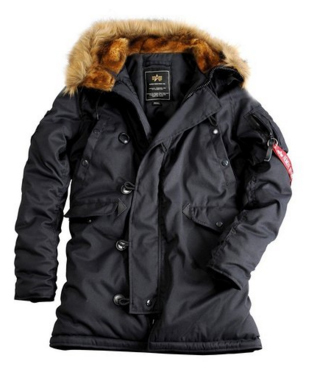 It is a long jacket, with a high collar, and an oversized hood, lined with removable fur trim. The outer material is 53% Nylon and 47% Polyester, while the inner material is 100% Nylon and the padding is Polyester. There are several pockets on the outside and pockets on the inside of the jacket as well. 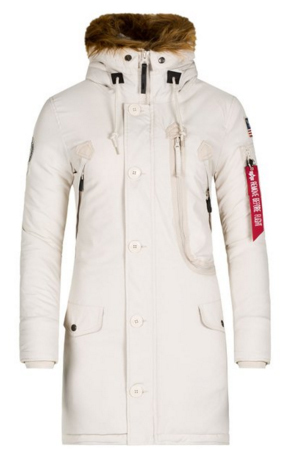 The zipper is weatherproof, and it is covered with a wide flap that buttons up. The colors available include: Black, Olive, Grey, Blue and Beige. 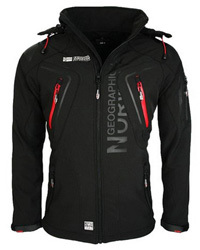 Continuous, robust front zip with storm flap. Material: upper 60% wool, 40% polyester; lining 100% nylon; padding 100% nylon; hood 80% wool, 20% polyester; hood lining 100% polyester. This jacket is the MA-1 D-Tec. It is made of 60% Wool and 40% Polyester. 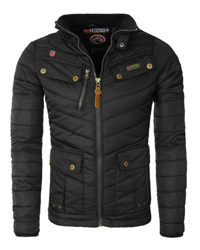 A warm jacket and weather resistant, suitable for cold to mild temperatures. It has two pockets on the sides and one on the left sleeve, as well as pockets on the inside. The hem and cuffs are elastic and ribbed, while the hood is lined with soft wool, to keep the neck and head warm. This is a “2 in 1” jacket, which can be assembled or taken apart with zippers. There are two color options: Black and Olive. 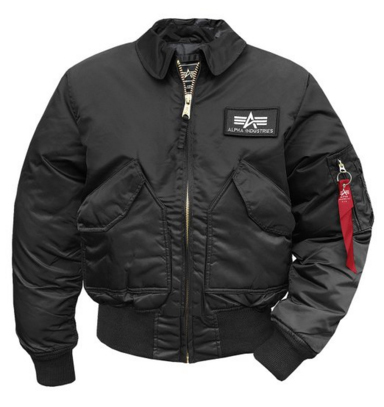 The CWU Flight Jacket Alpha is one of the absolute classics, and was designed in 1977 specifically for the US Airforce. Best comfort with the elastic ribbed cuffs and waistband ends. Material: 100% nylon, padding 100% polyester. The CWU-45 comes with large slip pockets on the sides and a pocket on the left sleeve, with pockets on the inside as well, so there is plenty of space for valuables and essentials. It is made of 100% Nylon for the outer part and Polyester for the inner lining. There is only one logo on the left upper chest and both hem and cuffs are made of elastic ribbed material. The inside is quilted, for added warmth as well as better insulation. 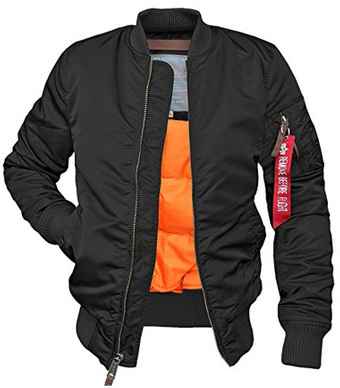 It comes in several colors: Black, Olive, Blue, Grey and Pilot black, which has several logos placed on the jacket. Sporty, elegant and high-quality parka. Wind and water resistant outer material. Hood with removable faux fur collar. 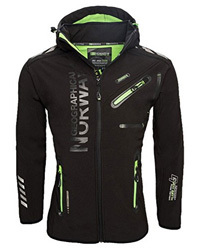 High-closing front zip with storm flap provides excellent protection against wind and bad weather. Pockets with button and flap on the front. Material: upper 100% cotton, lining 100% nylon, padding 100% polyester. Mountain is a winter parka made of 100% Cotton for the outside and Polyester for the inner lining. It is completely weatherproof, because the outer material has been wax-treated, ensuring that it doesn’t allow any water to go through. There are four pockets on the front and one on the left sleeve, as well as pockets on the inside, all quite oversized. The hood is lined with fur trim and the collar is high, after it is zipped up by the main zipper, which is covered with a storm flap that buttons up. Stylish autumn / winter jacket in vintage look with many details. Detachable hood with fur lining. Front zip with concealed snap placket. Material: shell 100% cotton, lining 100% polyester, sleeve 100% nylon, padding 100% polyester. The M 65 is a cotton jacket, that comes in a vintage look. It is long sleeved, with a drawstring around the hem, for proper fitting. The material is 100% Cotton on the outside and polyester for the inner lining, making this jacket warm but not very suitable for hard rain. It closes up with a zipper that has a snap placket for cover. The collar is high and comes with an attached hood lined in fleece. There are four pockets on the outside, with button closure. The colors available are three: Black, Olive and Anthracite. Warm lined jacket for the cold season. Material: shell 100% cotton, lining 100% nylon, padding 100% polyester, lining polyester. 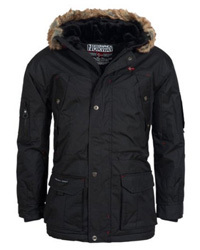 This winter jacket comes with an oversized hood, lined with fur trim and ribbed elastic material for cuffs and hem. The outer material is waxed canvas, while the inside is made of Polyester. There are four front pockets and one on the left sleeve. 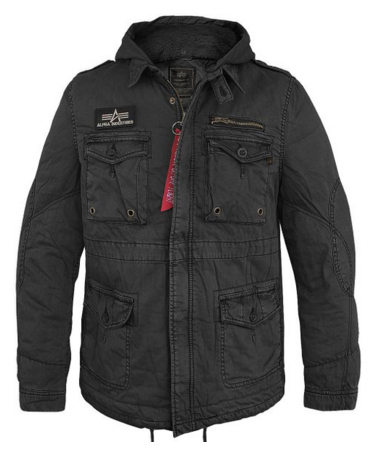 This is a short jacket that is weather resistant and warm enough to get you through mild / cold winter temperatures. It comes in three different colors: Off – white, Red and Black. Winter jacket with detachable hood. Manufactured well, wears very comfortably. It’s a bit small, the brand recommends a larger size. 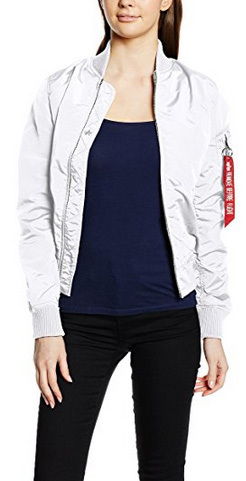 A very stylish jacket, made of 100% Polyester for the outside and 100% Nylon for the inside, while the hood is a combination of Cotton and Polyester. It is a lightweight as well as warm jacket. There is ribbed elastic material on the cuffs and hem, which are longer than typically. It comes in a slim fit cut and with a “2 in 1” look, with detaching zippers on the inside for the outer and inner part. The colors available are several, including: Burgundy, Black, Olive, Grey and Blue, with varying shades for each color. Two side pockets with snap button closure. Hood lined with faux fur. Extra zipper pocket on the left arm. The jacket is made of high-quality 2-tone Oxford Nylon. Material: shell 53% nylon, 47% polyester; lining 100% nylon, padding 100% polyester. The Explorer parka for women is a stylish, heavy winter jacket, with faux fur trim lining the hood. It is made of 53% Nylon and 47% Polyester for the outer part, while the inside and the padding are 100% Polyester. The cut is a loose fit and this is a long jacket, with a high collar and storm cover on the zipper. There are four pockets on the front, one on the sleeve, and several on the inside. 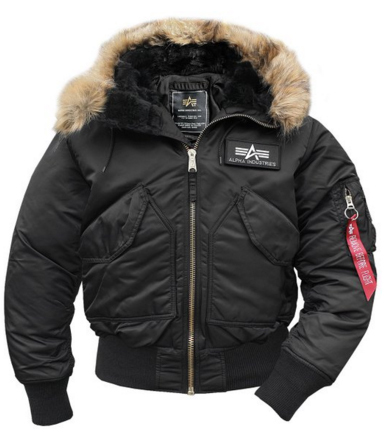 This jacket is designed for harsh winter weather and it comes in quite a few color options, such as: Black, Beige, Blue, Off – white, Olive, Red, Grey and Yellow. Warm lined winter jacket for women. Hood with removable faux fur. Closure with zipper and an extra button placket. The PPS N3B is a winter parka, suitable for freezing temperatures, but designed to be practical and comfortable. 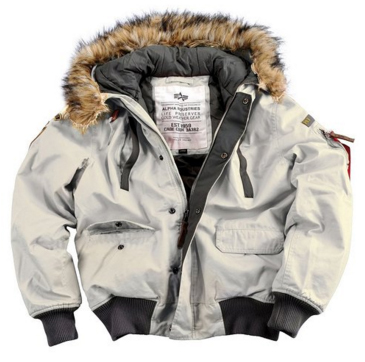 It is a standard fit, with enough room to move comfortably around while wearing the jacket. 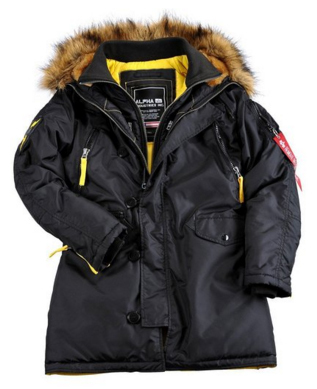 It is made of 100% Nylon, hence being weatherproof, while the inner part is 100% Polyester. There is faux fur trim on the hood and four pockets on the front and one on the sleeve. There are pockets on the inside, too. The colors available are: Dark blue, Black, Red, White, Blue and Dark green. Closure with zipper and button placket. Alpha Industries patch embroidered on the sleeve. Made of 2-tone Oxford Nylon. 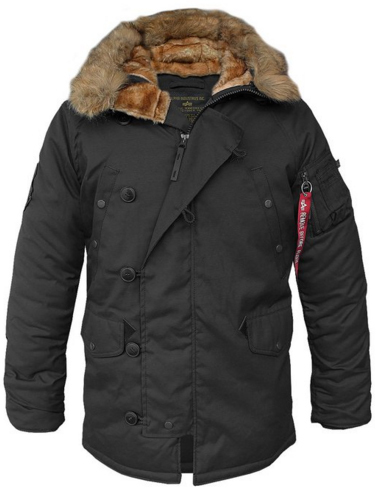 This polar coat is another heavy winter jacket, with faux fur trim on the hood. It comes with plenty of room for carrying things, due to the oversized and numerous pockets. The material is a combination of Nylon for the outside and Polyester for the inner lining. There is a covering placket over the zipper, which buttons up all the way to the high collar. The color selection includes: Black, White, Blue, Red, Dark green, Grey, Dark blue and Olive. The Ma-1 Tt jacket comes in a short and feminine design, with ribbed cuffs and hem. It zips up, ending right where the short, stand-up collar begins. It’s a stylish jacket that goes great with pants, while for those who are a bit more adventurous, it certainly looks good with dresses, too. It is made of 100% Polyester and it is weather resistant. This is not a heavy winter jacket, instead it’s light and warm enough for cool spring days and autumn. The colors available are: White, Black, Dark red, Pink, Blue, Burgundy, Spicy red, Dark blue and Green. 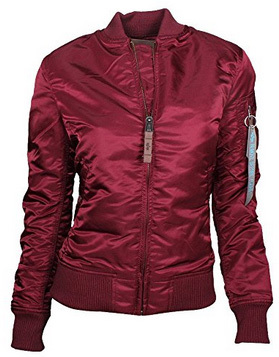 MA-1 VF59 is a beautiful and stylish flight jacket for women. It has a 100% Nylon shell and lining, with 100% Polyester padding. It is a blouson-style jacket, with a short and elastic collar. Also elastic are the sleeve cuffs and the bottom hem. This is a hoodless jacket, with two side pockets and one sleeve pocket. There are 15+ colors to choose from, including: Black, Gold, Pink, White, Green, Ocean blue, Apricot and Mint. 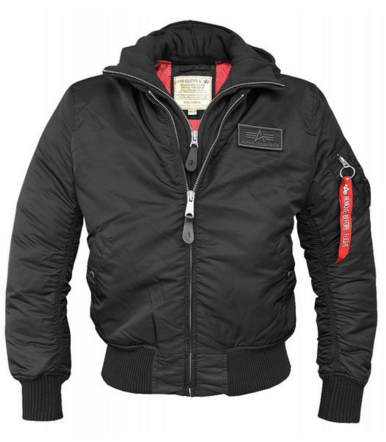 Also a blouson, this next jacket is made of 100% Nylon for both the upper and inner lining. The padding is 100% Polyester and it comes with wide quilting on the inside to keep the padding evenly distributed. It has long and elastic cuffs, which match the bottom hem and the short collar. The main zipper is water-resistant, as is the jacket and there are two side pockets for the hands and one sleeve pocket, with the brand’s logo. This is a very stylish option for casual outfits and rainless winter days. The colors available are 10+, including: Black, Sage green, Dark petrol, Gold, Silver pink, Caramel and Apricot.